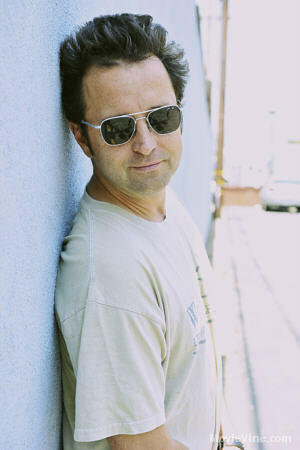 An award winning independent filmmaker, Richard Gabai is a blue collar veteran with over a fifteen movies to his credit. 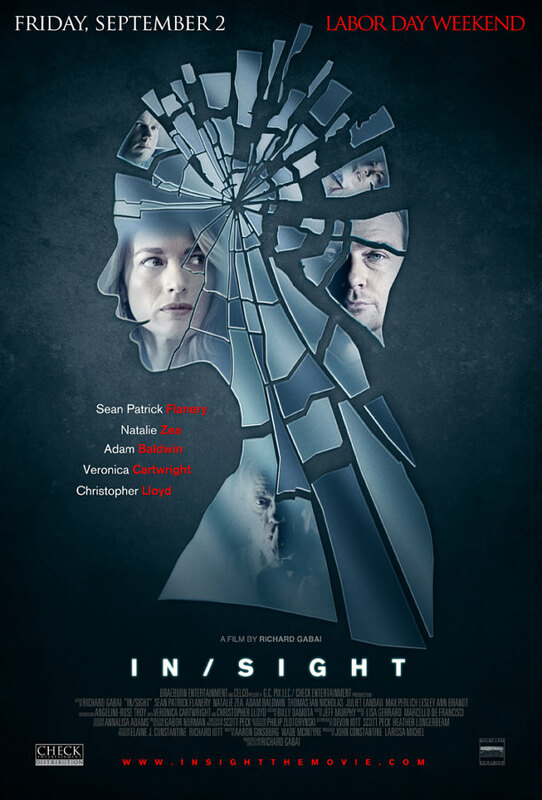 “In/Sight,” Gabai’s most recent film is a psychological crime thriller starring Sean Patrick Flanery, Natalie Zea, Adam Baldwin, Thomas Ian Nicolas, Max Perlich, Juliet Landau, Lesley-Ann Brandt, Veronica Cartwright, and Christopher Lloyd. Set and shot in Los Angeles, the film will be released theatrically in the U.S. and Canada Friday September 2, -Labor Day weekend by his newly formed company Check Entertainment Distribution. Kale: When did you first become a filmmaker? Richard Gabai: Okay the first time? I was about 10 and my brother and I shot a film edited in camera on super 8. But my first first commercial movie was Assault of the Party Nerds which was shot July 18-22, 1988. When I forget those dates, have me committed. Kale: Who or what inspired you to pick up your craft? Richard Gabai: Well, my dad is a film buff, and early on he exposed me to classic films. I also enjoyed theater as a kid so it was sort of natural that I gravitate towards film-making as a career. Kale: What are your favorite things about the film industry? Richard Gabai: There’s nothing better than being on set working with people you respect and admire all focused on the same thing. Film is the most collaborative art and working together is the best part of it. The industry as a whole is just brutal and a very difficult way to earn a living, but the actual process is the best. Kale: How difficult has it been to get InSight made? Richard Gabai: It’s always hard to get a film financed; but I was especially lucky on InSight. Literally it’s like working with family. Rich Iott my executive producer has been with me on two other films. My producing partner John Constantine and his Aunt Elaine our other executive producer I know are in it like I am for the long haul and we will be making many movies together. Kale: Did you enjoy working on the film? Richard Gabai: For some guys it’s fishing, for me it’s being on set. Kale: What can you tell me about the film’s plot? Richard Gabai: It’s complicated, and I think it will keep the audience guessing right up to the very end. Kale: When will the film see theatrical and home media releases? Richard Gabai: The theatrical release is set for Labor Day Weekend September 2 and it will probably show up on DVD and VOD in early 2012. This film is meant to be seen on the big screen though; in the dark, with an audience, and a fresh tub of popcorn. Kale: How often do fans approach you about your work? Richard Gabai: Well I think I must have them pretty confused at this point. I started out with films like Virgin High and Dinosaur Island then made a sharp turn into family films for several years and now I’m making thrillers so I’m grateful they are still around!!! Kale: How do you prefer to interact with your fans? Richard Gabai: The internet is great. We all have some kind of access to each other and it’s always nice to hear form somebody who enjoys the work we’ve done. Kale: What is one thing you’d change about Hollywood? Richard Gabai: I don’t know that’s a tough one. The truth is Hollywood is always changing itself and it’s my job to change with it. Kale: Have you always worked with great people? Richard Gabai: No. Next question? Kale: In the future, what films would you enjoy making? Richard Gabai: I’d like to make more films that families can enjoy. A couple of years ago I made Call of the Wild 3D and my kids just love it. That means the world to me. Kale: Do you ever see retirement ahead? Richard Gabai: I really don’t. I could see being more selective as time went on but I can’t imagine not working. It’s just not in my DNA. Don’t get me wrong I can lie on the beach with a cold drink in my hand just like the next guy, but eventually I’d need to get back to work. Kale: What is your favorite genre of film? Richard Gabai: Whatever genre of film I’m working on at the moment is my favorite – that really is the truth. Kale: Thanks so much for this grand opportunity, sir. Comments for Interview with Richard Gabai are now closed.